Emanuele Berry, Patricia Bynes and the Rev. F. Willis Johnson discuss Ferguson with 'St. Louis on the Air' host Don Marsh, far left, on Wednesday at St. Louis Public Radio in St. Louis. 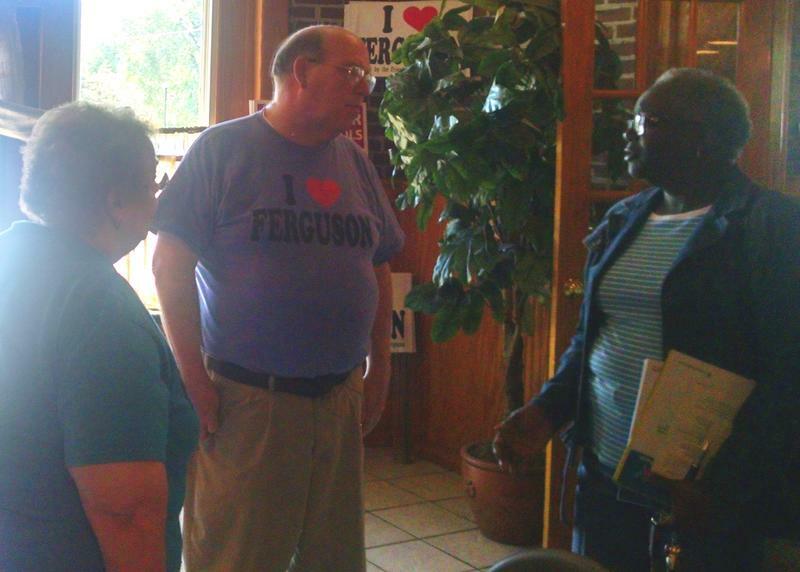 Ferguson has emerged as the top local (and national) story of the year. The Aug. 9 shooting death of Michael Brown by Ferguson police Officer Darren Wilson has raised questions about policing, poverty, government policy and funding, and safety. But some of the biggest questions have been about race and equality. "St. Louis on the Air": The Rev. F. Willis Johnson, Patricia Bynes, Johnetta Elzie, Brian Fletcher and Brittany Packnett discuss Ferguson. “Since Aug. 9, to now, people feel empowered and people feel that they alone can take a stand and fight for what they believe in and what they think is right because that’s what we did for the first 21 days when we just refused to leave the streets because we knew what happened was not right,” said activist Johnetta Elzie, a field organizer for Amnesty International. Few could have realistically speculated that people would still be actively talking about the August shooting nearly five months later, Johnson told “St. Louis on the Air” host Don Marsh on Wednesday as about 70 protesters gathered at the St. Louis Police Department headquarters at Olive and 20th streets in St. Louis. But Johnson also said he fears people are speaking in silos. What that end is or even what’s next remains elusive. Some have raised questions about leadership. Leaders have emerged in Ferguson, many of them in their 20s and 30s, but there is no centralized leadership structure. Without that structure, can the movement continue to gain momentum? “For people who have been asking ‘How are we going to keep the momentum going?’ and ‘How does the movement stay alive?,’ honestly the police are doing a great job at motivating people to keep going at it,” Elzie said, citing the deaths of Eric Garner in New York and Tamir Rice in Cleveland. Garner and Rice, who were black, were killed by police officers. Existing leadership structures have disappointed many involved in the protest movement, particularly Gov. Jay Nixon’s action in Ferguson. Several businesses were robbed, vandalized and burned that night. I Love Ferguson, a nonprofit led by Brian Fletcher, has collected donations and sold merchandise to assist local businesses in rebuilding efforts. “Not Walgreens or the QuikTrips, but the mom and pop beauty supplies and barbers and the meat stores and Ferguson Liquor and Market, those kind of businesses that are really going to need immediate help and are not getting enough in the end,” Fletcher said. In December, I Love Ferguson presented a $50,000 check to the Reinvest North County Fund, which provides grants to Ferguson-area businesses affected by unrest. Fletcher said the group will donate another $35,000 in January. But in an environment where nothing is clear-cut, even those efforts have detractors that often boils down to language. “We” pops up in many conversations about protests. It comes back to true conversation, he said, which includes listening. That’s what the members of the Ferguson Commission are trying to do, said Brittany Packnett, executive director of Teach for America in St. Louis and a Ferguson Commission member. Packnett also is a member of a White House task force studying policing in the 21st century. The task force and the Ferguson Commission, which Nixon established, are expected to present recommendations to their respective authorities. It will then be up to others to act on those recommendations. “That is why the continued voice of the community needs to be heard to hold elected officials and government officials accountable to not only those recommendations, but also to the will of the people,” Packnett said. She said the top issue for both groups is law enforcement and community relations. But Griffin also said he would be surprised if any of those bills made it through the legislative process. On Wednesday, Bynes said she’d be surprised, too. “St. Louis on the Air” discusses issues and concerns facing the St. Louis area. The show is produced by Mary Edwards and Alex Heuer and hosted by veteran journalist Don Marsh. Follow us on Twitter: @STLonAir. As 2014 draws to a close, “St. Louis on the Air” looked back at the biggest local and regional stories of the year. Topping the list was the August shooting death of Michael Brown by Ferguson police Officer Darren Wilson, and the protests, demonstrations, grand jury announcement, and conversations that have followed. Leadership has repeatedly come under fire regarding Ferguson, at the local, state and national levels. Religious leaders have actively addressed Ferguson issues and participated in Ferguson demonstrations since August. For the Very Rev. 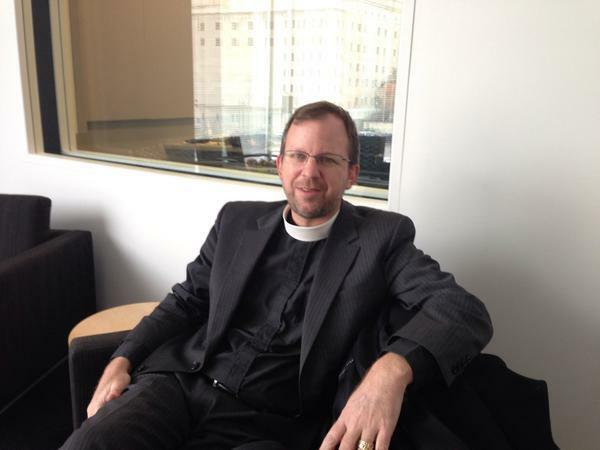 Mike Kinman, dean of Christ Church Cathedral, getting involved comes down to one word: Listen. 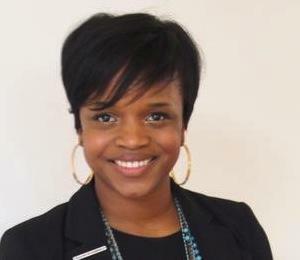 Brittany Packnett says she’s made a career of “listening intently and intensively” to the needs of young people. The former third-grade teacher, current Ferguson activist and executive director of Teach for America in St. Louis will now put her listening and leadership skills to use as a member of President Barack Obama’s task force on 21st-century policing. It’s been a few months since a group called I Love Ferguson started selling T-shirts, mugs and hats aimed at boosting the beleaguered town. Since then, former Ferguson Mayor Brian Fletcher said the committee’s wares have been sold worldwide. Former two-term Ferguson Mayor Brian Fletcher said Thursday that he’s seeking a City Council seat in April's election. “I do plan on coming back. I plan to run for 2nd Ward in City Council, and I would be proud to serve the people in Ferguson if they’ll have me again,” Fletcher told “St. Louis on the Air” host Don Marsh. Fletcher served as the city’s mayor from 2005 to 2011. He spent 16 years as a Democratic committeeman, and served on the Ferguson-Florissant School District’s board.